Stop and smell the roses at Gossip Bingo when you play Secret Garden Slots. Walk through the magical garden, enjoy nature, and more importantly, enjoy FREE spins and multiplied wins! 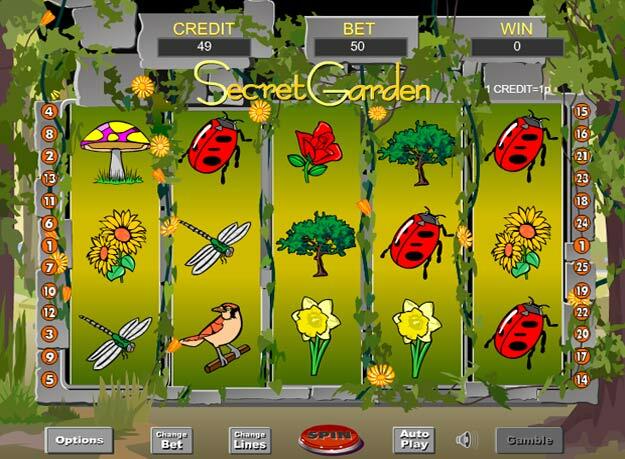 Secret Garden slots is a must-try for fans of all things floral. It's a garden themed slots with tons of beautiful flowers and animals across the reels to look out for. There are 20 pay lines to bet across and it's super easy to get stuck into. Look out for the Wild and Scatter symbols and you might find your way to an even bigger jackpot. The Scatter is the sweet red rose and there's the chance to scoop free spins with a 3x multiplier. You have to bet to win so spin the reels of Secret Garden.